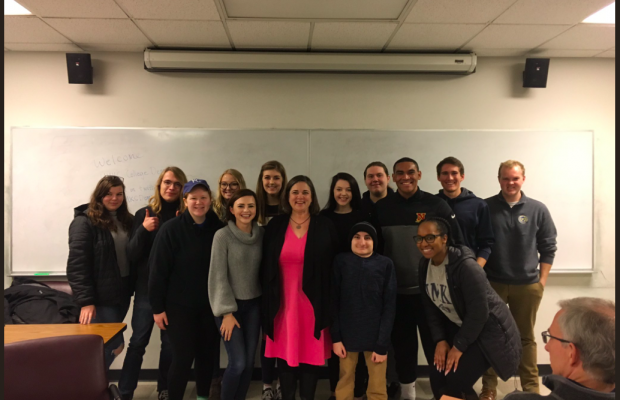 On Tuesday, Feb. 5, Jolie Justus and Steve Miller continued to blaze their respective mayoral campaign trails by making an appearance at a UMKC College Democrats meeting. Justus and Miller are two of 11 candidates in the race to be Kansas City’s next mayor and have their sights set on winning the general election run-off on June 25. But first, they must be one of two mayoral candidates to advance past the nonpartisan primary on April 2. During the meeting, the candidates each split their 30 minutes of speaking time between introducing themselves and their ambitions to focusing on the audience’s questions. Justus, a UMKC alumna and current city councilperson, gave meeting attendees a brief look into her background and why she believes that, if elected, she can be the progressive leader Kansas City needs. “I want to make sure that we have strong leadership to keep our city moving forward,” Justus said. She believes the city is on a roll and has a great deal of momentum that must be capitalized on. To holistically address the problems Kansas City faces, Justus believes the focus lies in improving three things: connectivity, affordable housing and education and workforce development. Justus is heavily involved with expanding and improving transportation options in Kansas City. When asked how she might help put UMKC’s plans of increasing enrollment into action, despite the current size of the university, she expressed the need for expanding the streetcar. Steve Miller, a Kansas City native and University of Notre Dame graduate, also believes in capitalizing on the city’s growing momentum. With an extensive background in construction law and a seven-year veteran member of MoDOT, Miller believes he is ready to lead Kansas City and capitalize on some of its best assets, one of which includes UMKC. Miller believes the futures of UMKC and Kansas City are intertwined and that UMKC’s position as an urban university gives it an advantage that schools in Lawrence and Columbia do not have. Another issue Miller has taken into consideration is the affordability of housing. He said that while developers are being incentivized to build and invest in new properties, there are also buildings that can be revamped and repurposed into affordable housing options. “The most affordable housing is doing a better job with our existing housing stock,” Miller said. He believes that to do this, it is important to partner with neighborhood organizations and the surrounding business community to create safe and affordable housing options for UMKC students and Kansas Citians in general. Justus and Miller are the second and third candidates, respectively, to visit the College Democrats. Mayoral candidate Phil Glynn visited the week prior. 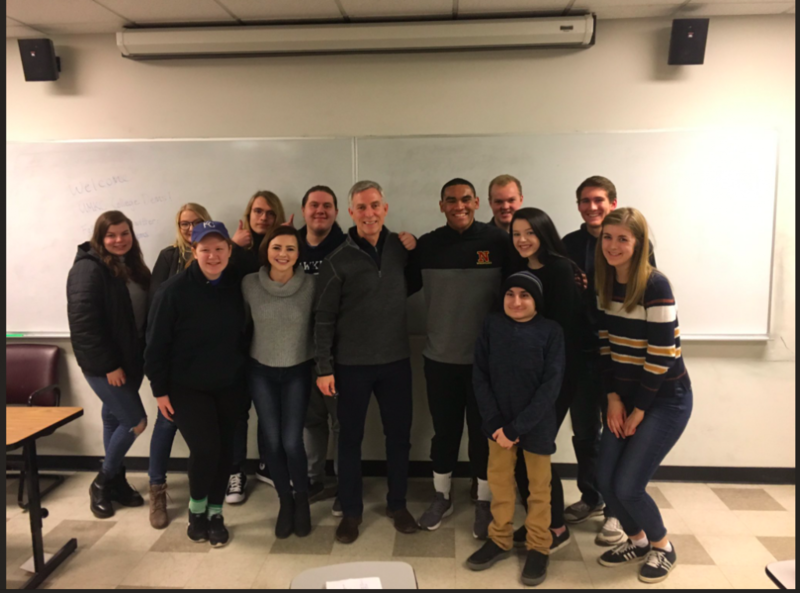 College Democrats President Bella Vadovicky, who also worked on organizing a mayoral forum last semester, was able to establish a “pretty open line of contact” with several of the candidates. “We already knew that we wanted to work together,” Vadovicky said. Thanks to her experience, she was able to invite several of the candidates to speak at College Democrats meetings. Students have also enjoyed having an opportunity to meet candidates in a more intimate setting. According to Vadovicky, mayoral candidates Jermaine Reed and Quinton Lucas have also confirmed plans to visit College Democrats meetings before the April 2 primary election.